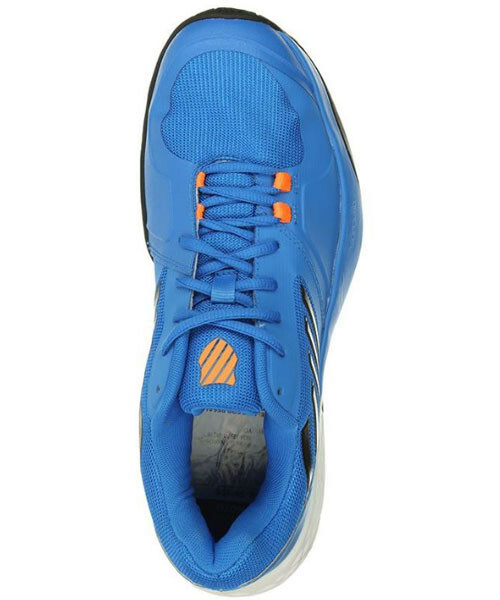 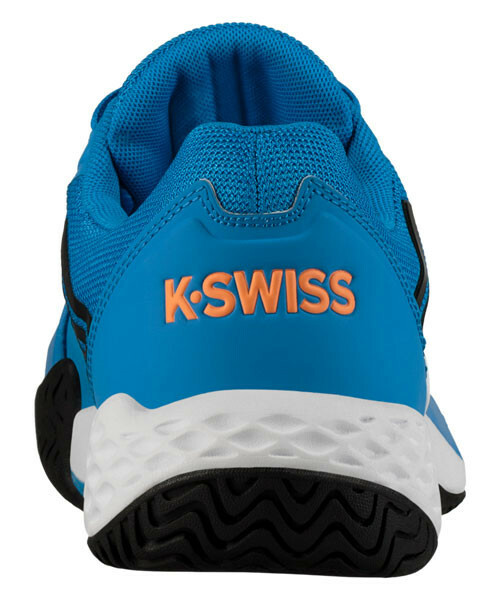 The new K-Swiss Men's Aero Court Shoes in Brilliant Blue / Neon Orange are inspired by the design of the new Aero Knit. 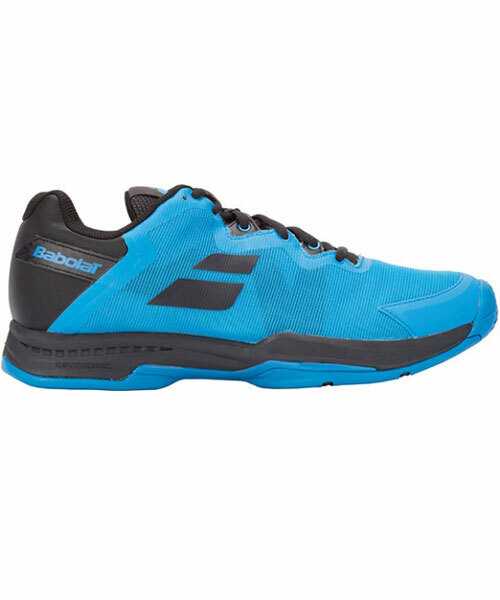 The Aero Court features Surgelite for maximum comfort and a mesh upper making the shoe lightweight and breathable. 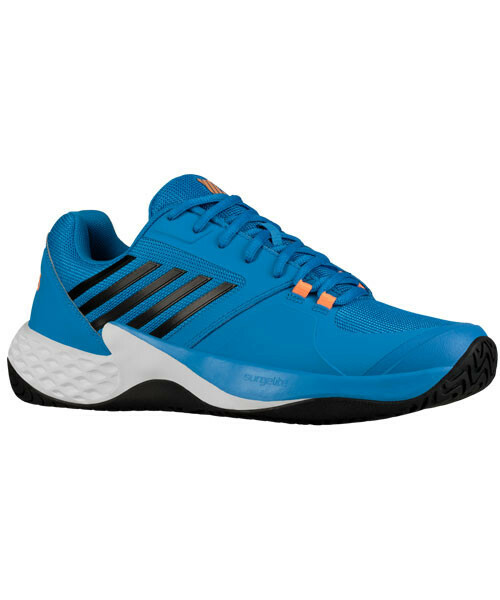 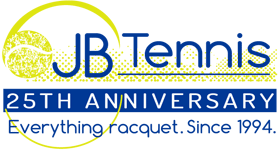 This shoe has great value for a wide range of players.